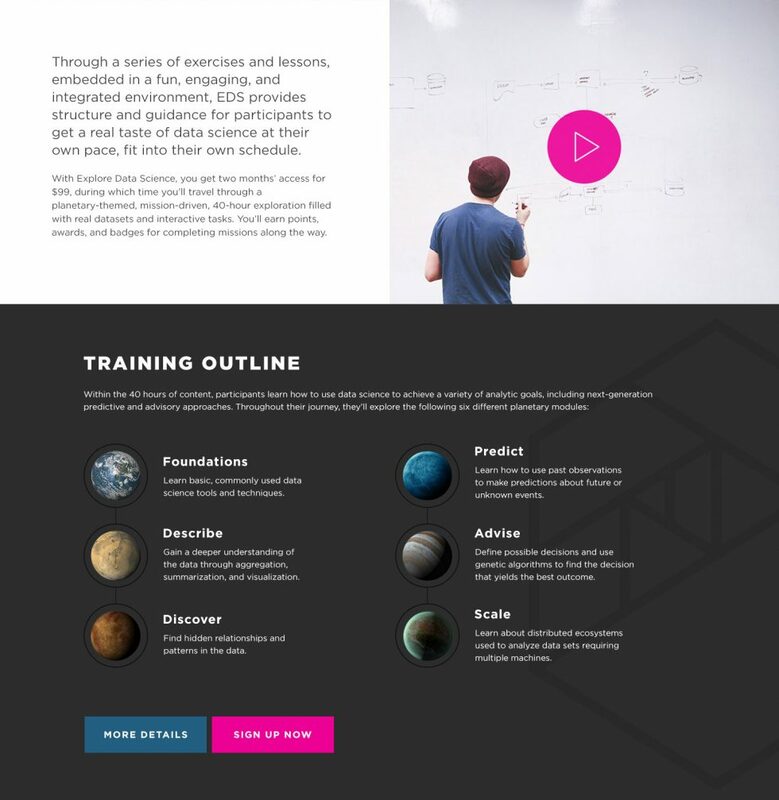 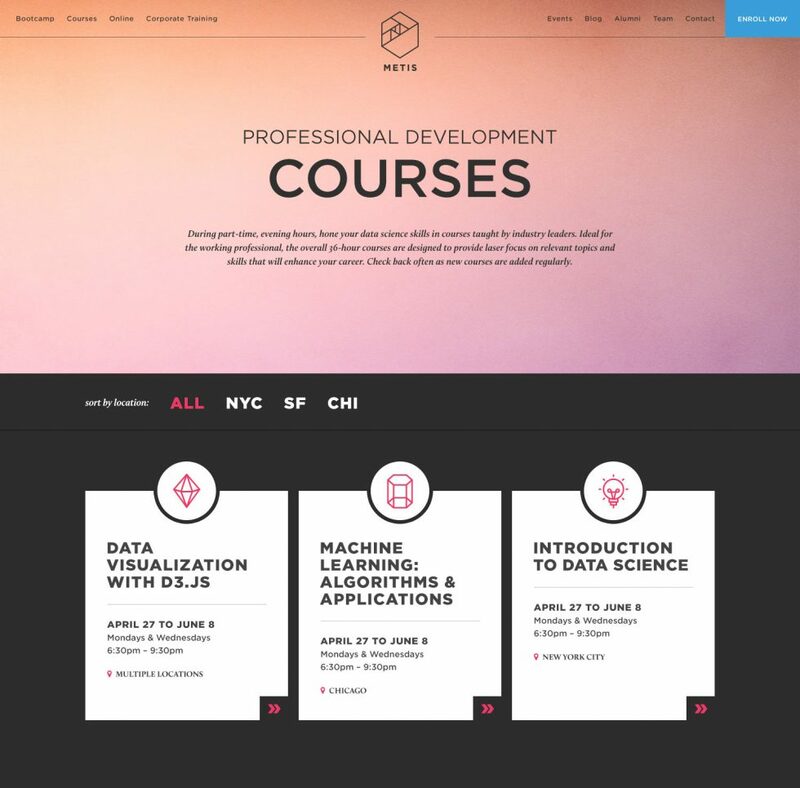 Metis offers educational training, development courses, and immersive bootcamps to learn data science. 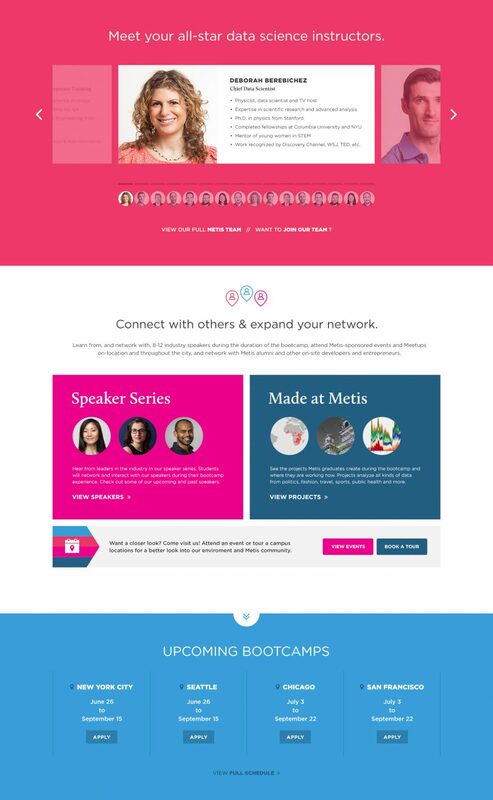 We helped redesign Metis’ website to better reflect their personality, brand, and what they have to offer. 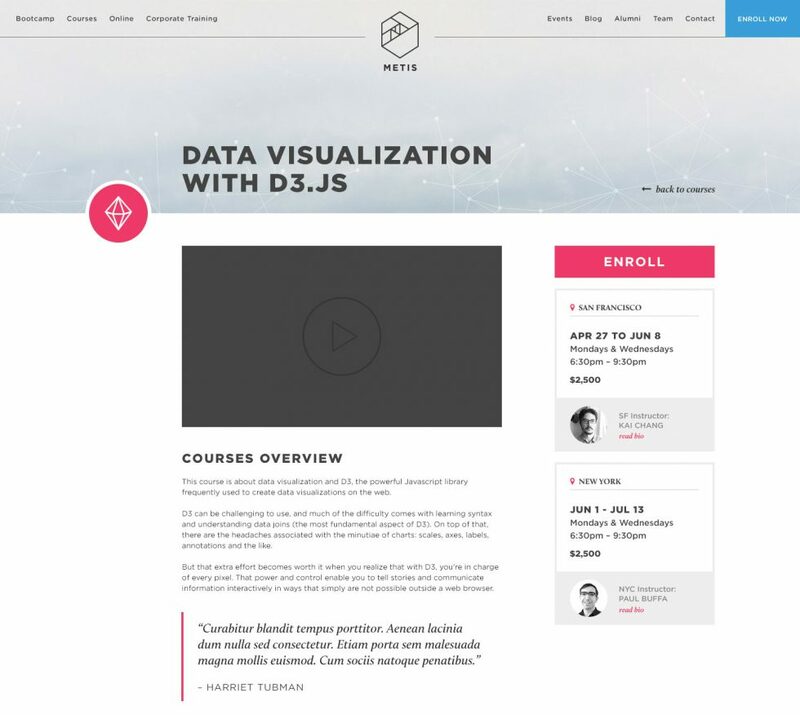 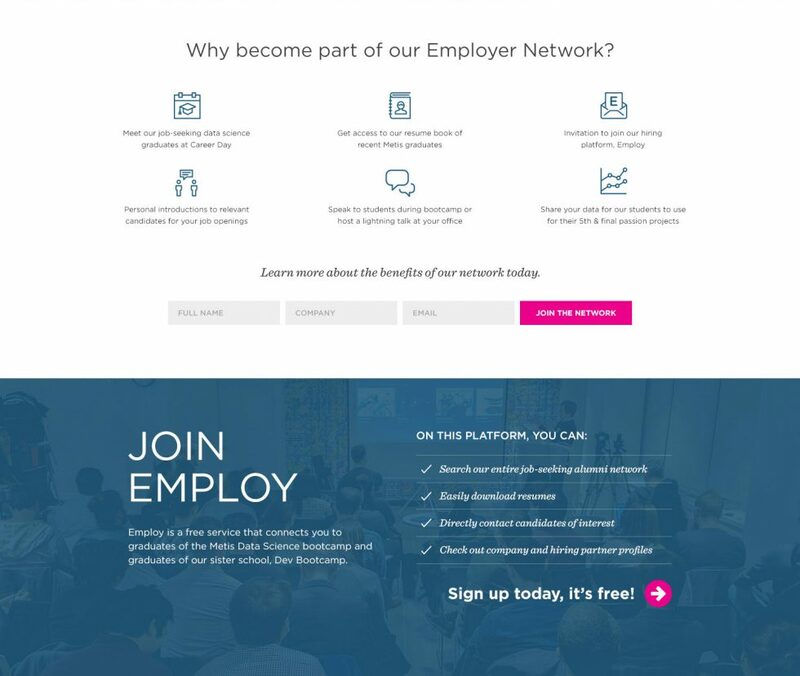 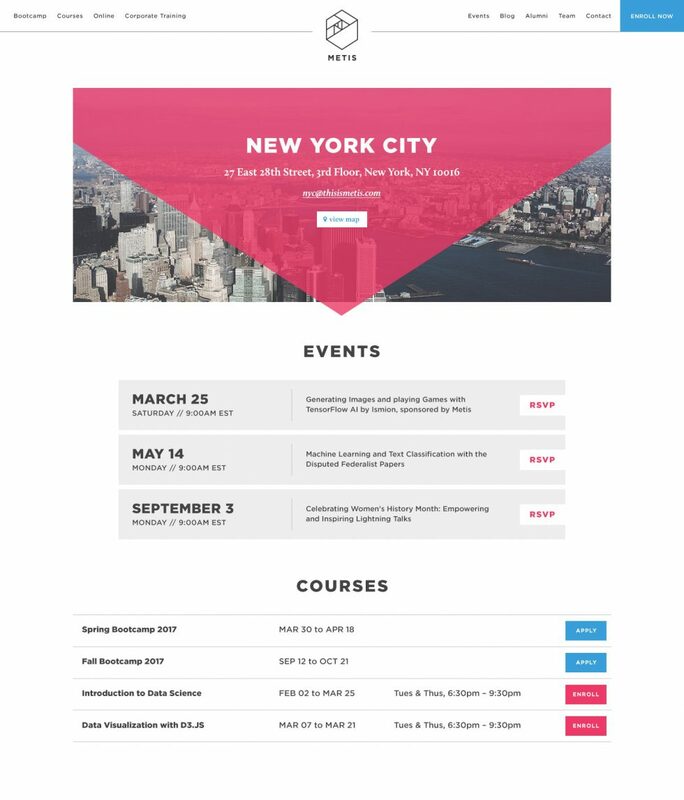 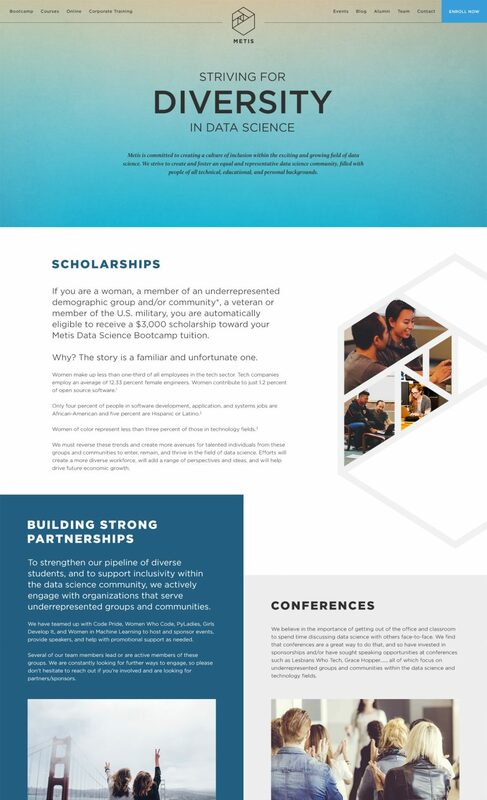 In collaboration with the awesome team at Metis, we designed their new website for users to better understand how Metis works and to more easily find the information you need on classes, bootcamps, and careers.